The thriving port and resort getaway city of Mazatlan is a great destination for LGBT visitors in Mexico, although not as popular with gay travelers as Puerto Vallarta, which is further down the Mexico Riviera coastline. 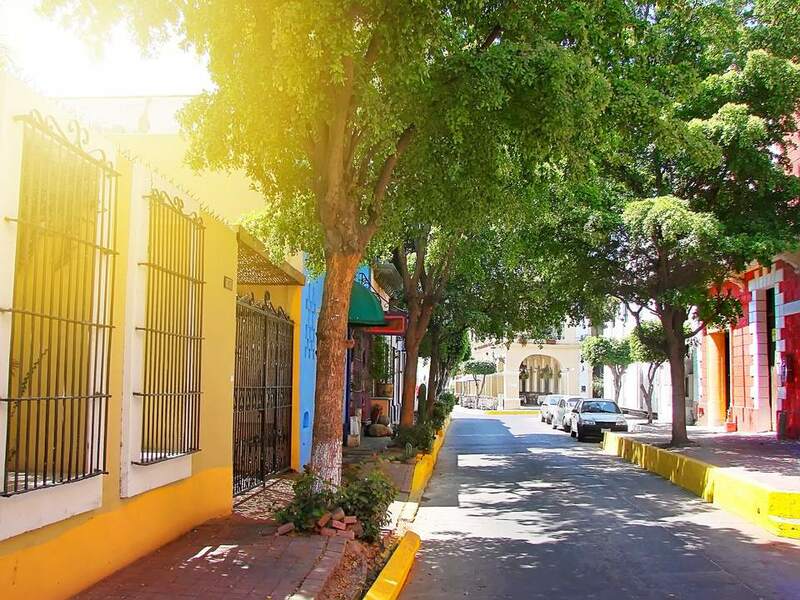 Mazatlan lies directly across the Gulf of California from the tip of Baja and is known for its miles of beaches, its old city historic district (Zona Historica), and the Zona Dorada club-and-hotel area— making for an engaging yet relaxing getaway, especially during winter. If you're visiting this port city and looking for a way to enjoy the gay nightlife scene of Mexico, Mazatlan has three gay clubs. Vitrolas Bar in the heart of the Zona Historica offers a chance for a quick drink and bite before heading out to Zona Dorada, where you can dance and drink at either Divine Electro Club or PP Club before ending the night at Lolly Pop in Palmeiras Club. Set inside an elegant, high-ceilinged, colonial-style building a couple of blocks north of Plaza Machado in Mazatlan's colorful Zona Historica (Historic District), Vitrolas Bar is the cousin of the Pepe Toro gay disco. This is a laid-back, relatively quiet bar with cafe tables and plenty of room to kick back and socialize. The crowd is a mix of women and men of all ages, and things tend to get going early here, making it a popular place after dinner and before club-going. Vitrolas serves light bar food, snacks, and espresso along with a full alcohol menu. Divine Electro Club lies in the heart of Mazatlan's lively Golden Zone, or Zona Dorada, just a few blocks north of Plaza Mazatlan resort. In a city that's far less known for gay-clubbing than Puerto Vallarta, Passion Club is nonetheless highly popular and plenty of fun, with great music, friendly bartenders, and a compact but well-lighted interior with a decent-size dance floor. This club celebrated its fifth anniversary on March 11, 2018, and continues to attract a large, diverse crowd of gay locals and tourists. With drink specials nightly and a slew of weekly events, there's certain to be a party at Divine Electro Club every night of the week. Only open from Thursday to Sunday, PPClub Mazatlan offers a different party every night of the weekend. Celebrating 25 years of gay nightlife in the city, PPClub is rated the top gay bar in the city. Features include drag nights, electronic and pop nights, and "Show of the Idols" nights in this unique LGBT-friendly establishment. Located along the waterfront on Avenue del Mar, Lolly Pop Club is the newest gay nightlife destination in Mazatlan. With a combination of male and female go-go dancers and a great mix of pop and electronica in Spanish and English, this gay nightclub is a great destination whatever your persuasion. Weekends are cheaper than weekdays, but you can expect to find a party no matter what time you go.